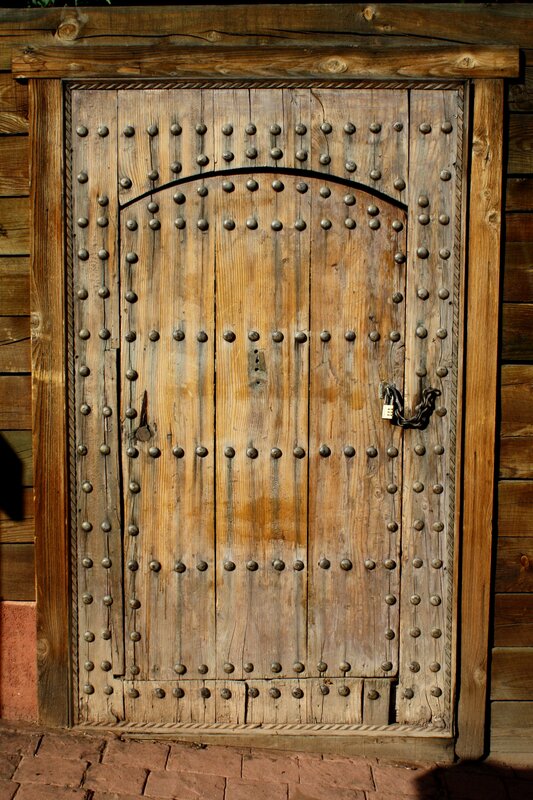 Free high resolution photo of an old wooden door made with boards and bolts. The door has a decidedly rustic old world look and is locked with a padlock and chain. It sort of looks like a door on a dungeon or castle or something from old Europe. Free picture for any use.